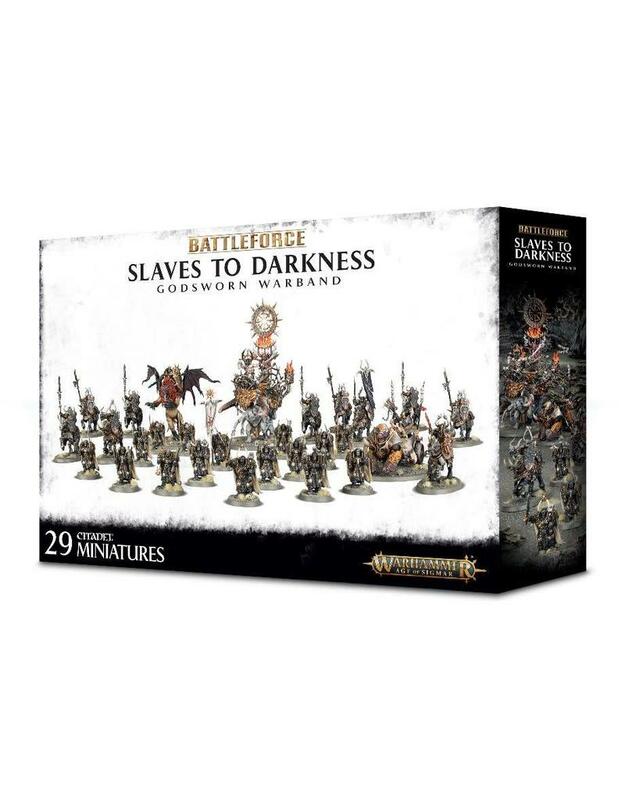 Dedicate yourself to the Dark Gods (and save yourself some money) with this massive Battleforce. In this set, you’ll find a huge host of Chaos models - 29 to be exact - ranging from iron-clad foot soldiers to a monster-mounted overlord, all for less than the price of getting the contents separately! 16 Chaos Warriors, with options for a champion, banner bearer, musician and a choice of weapons to arm the unit. 10 Chaos Knights, which can be armed with chaos glaives or ensorcelled weapons, as well as featuring options to build a champion, banner bearer, and musician. 1 Chaos Lord on Manticore, which can also be built as a Chaos Sorcerer Lord on Manticore.